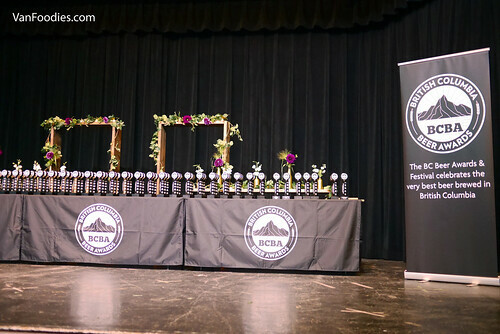 On October 20, 2018, winners of this year’s BC Beer Awards were named. The ceremony was held in conjunction of a tasting event with 60 breweries setting up shop at the Croatian Cultural Centre. 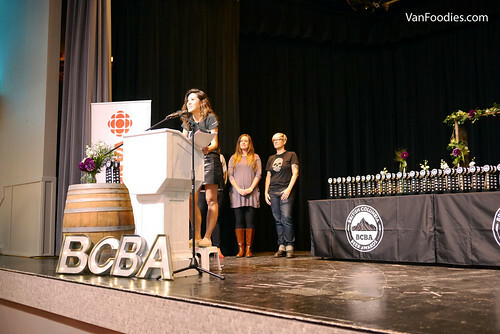 BC Beer Awards received 1,085 entries from 109 breweries. 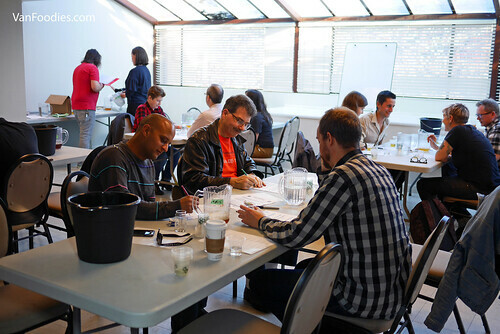 The judging took place over 3 days and was performed by a panel of BJPC (Beer Judge Certification Program), Cicerones and Pro Brewers from all over North America. Like last year, there was also a Brewers Challenge. Participating breweries were challenged this year to brew something with fresh hop. It can be any beer style. The judging took place as we were given a tour of the space. And I must say, it’s pretty awesome to see Lien Yeung at CBC as the emcee, especially with her on the step stool. I can totally relate!